The violet pouch fungus (Cortinarius porphyroideus) is a truffle-like fungus found in the leaf litter of beech forests. 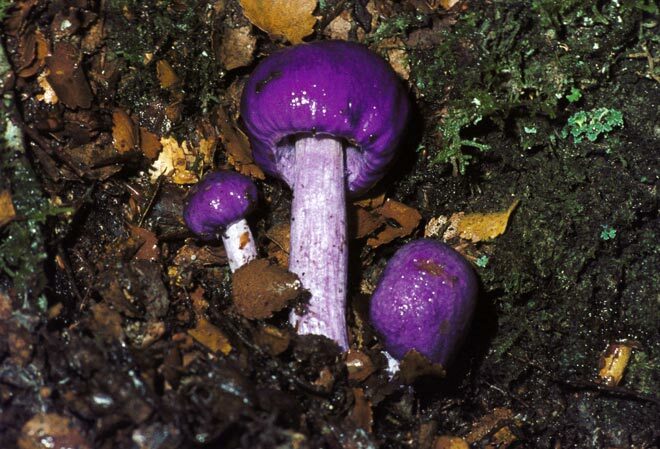 Its spore-producing tissue is enclosed within its purple cap. Spores are released when the cap begins to disintegrate, or when insects and other small animals eat the tissue within the cap.